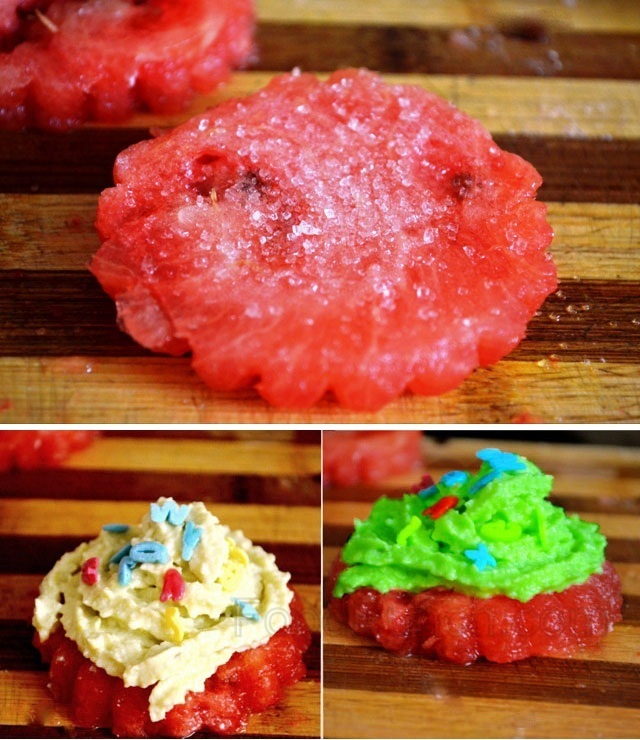 An easy recipe that’s both healthy and a kid pleaser ,Watermelon Cupcakes with Cream Cheese topping. As summers have already ringed the bell in the southern part of India, Watermelons are swarming the city tempting everyone with its vibrant green color. Watermelons are indeed the best thirst quenchers but also loaded with some of the nature’s best anti-oxidants, rich in Vitamin A, B & C. All this goodness and still low in calories!! Watermelons being the favourite in my family are often easy to gulp down if they are sweet…well on the other hand it is rather a disappointment when it turns out to be pale in colour & taste. Well what to do? Here’s a quick way to turn out the disaster into a full blown dessert!! 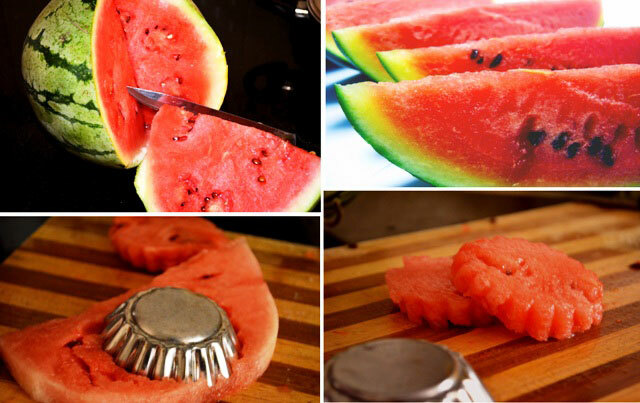 Take a watermelon and cut it into slices of medium thickness. Take each slice and cut out the outer green portion. 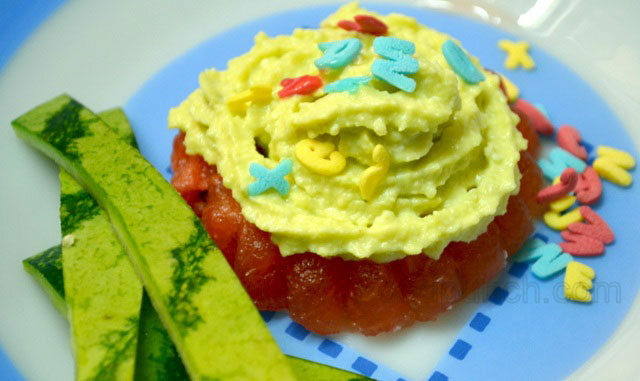 Now with a cookie cutter or muffin mould with sharp edges cut out each slice into different shapes. Now sprinkles some sugar on each of the cut shapes and keep them aside. Take cream cheese, yogurt and sugar. Mix well. Now add vanilla essence and sugar. Mix everything well. Now add some green color and mix it again. Remember this is an optional step. 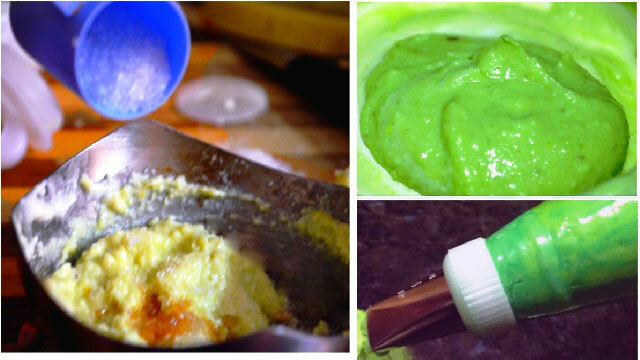 At this stage u will get a nice green colored icing. I made 2 batches one with green color and one without color. Fill the icing in a store bought or homemade piping bag. Now decorate the water pieces with icing and sprinkles. Keep in refrigerator for some time and serve cold.